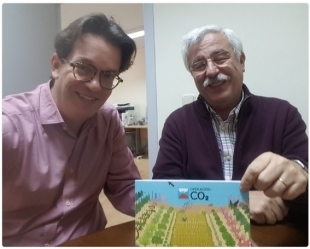 Sven Kallen of Transfer LBC shares the Layman report of the Operation CO2 project with Professor Juan Pablo del Monte of UPM ETSIAAB, scientific officer of the LIFE Crops for Better Soil. This coming 20-24 of February, Transfer LBC team will have a modular stand at FIMA 2018 in Zaragoza, Spain and shall make the Layman reports of Operation CO2 available to interested parties. 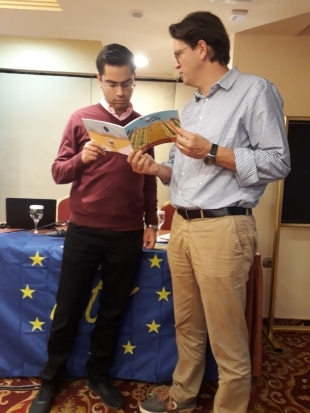 Today we are meeting with representatives of the LIFE THE GREEN LINK project in Greece. 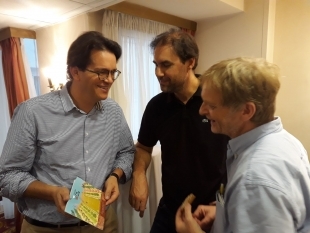 Today we are meeting with representatives of the LIFE COOP2020 project, from the CERTH research center in Greece.